We have opened the sales of Single Tree Tea (Dan Zhu Tea) produced in 2018 spring. Single Tree Tea refers to the selected tea produced only from one particular tea tree. In general, we get 2-4kg of tea from the each single tree. It is considered as the most exclusive quality of all. For Malaysian customer, please visit the following page. So far in Yunnan, only raw pu-erh tea was processed from single tea tree. 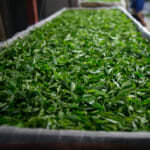 As the quality of the single tea tree is so outstanding, we were keen to produce other types of tea. In 2018, besides raw pu-erh tea, we have managed to work with our tea manufacturer to make single tree white tea and black tea too. I have never heard anyone made black tea from the single tea tree, and of course single tree white tea is very rare. As far as I am ascertained, it could be the unprecedented attempt. 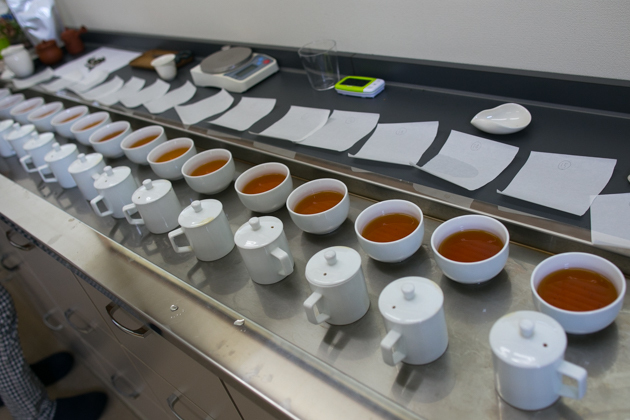 After we produced those teas in last spring, we kept teas for a year in order to intensity the flavour. 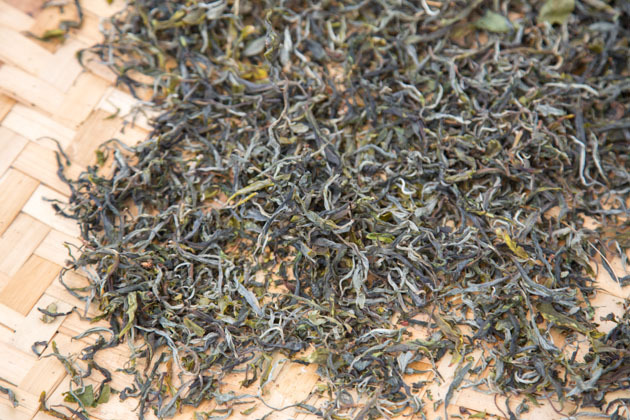 In Yunnan, big factory produces tea collected from everywhere and blends them into a big lot. Each garden has many trees with different condition. As a result, the quality of tea is averaged out. 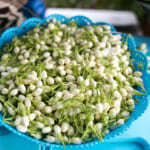 On the other hand, the single tree tea is collected only from a distinctive tea tree. 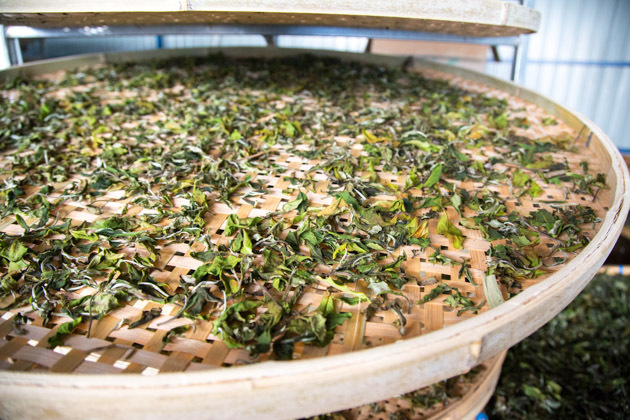 The fresh tealeaf collected from the single tea tree is individually and carefully processed in order to prevent the mixture of other teas. So, naturally the quality of single tree tea is outstanding. No doubt that we can call it as premium quality. In particular, we only select specific tea trees that growing condition is ideal. We selected tea from a few hundred year’s old tree, grown naturally without any fertilizer or pesticide at higher altitude (above 2000m) and left in the wild. These trees grow very slowly and tealeaf is very rich in iron and polyphenols. It gives extraordinarily long-lasting taste, multi-layered of flavour and very smooth and clear drinking sensation. When I drink it, I feel like tea is penetrating my body. To me, it is beyond “drinking” but “feeling” by our body. The high content of poly phenols provide us with many kinds of functional effect too. One of the old tea trees we made single tree tea. Due to the high altitude and wild growing environment in Lincang, the height of tea tree hardly changes, not like those tea trees grown in the south of Yunnan, e.g., Xishuang-banna. Why the single tree tea is of premium quality yet less famous? Despite single tree tea is of such high quality, why it is not really famous and seldom shown in tea book? It is because the single tree tea is too limited. Due to the high demand, tea was already sold out when it is still in the tea factory in the mountain. 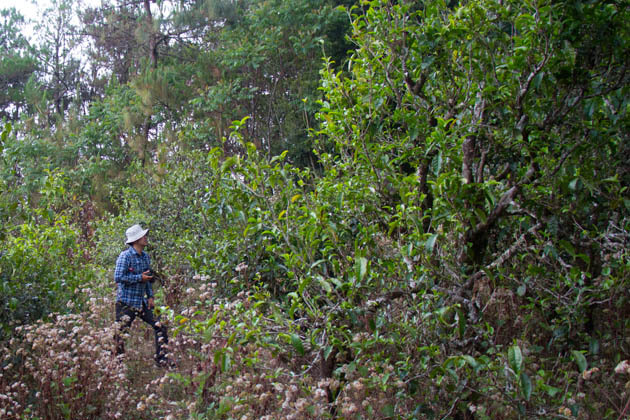 You might be surprised that many single tree teas are often sold even before being plucked. Many single tea trees are pre-booked by the owner of big companies or some tea enthusiasts. Since most of the single tree teas are sold out in the remote villages, less people know about this tea. 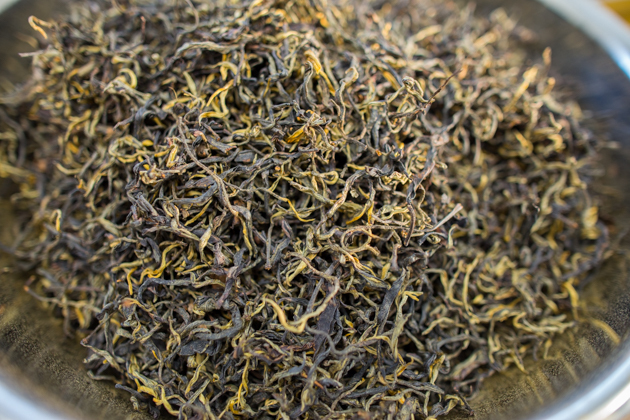 Being able to purchase the single tree tea is a privilege of people who stay in Yunnan for sourcing tea. 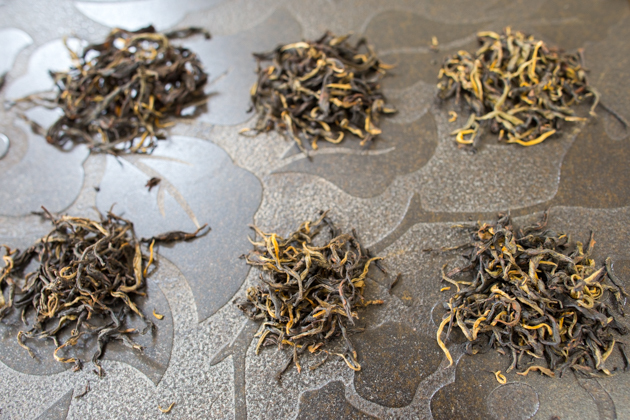 Ever since we fell in love with the single tree tea, it becomes one of the reasons why we spend so much time in Yunnan every year. We have to stay there to secure the right quality tea comes from the qualified single tree. We released raw pu-erh tea in loose leaf and cake, white tea in loose leaf and cake, and black tea. Each Single Tree Tea in loose is packed into 100g pack. When you book 200g of tea, you will get teas from two different trees. Likewise, 600g consists of six different trees, and 1000g consists of ten different trees, then you will be able to experience as many as ten different Single Tree teas. The combination of different tea trees is random. We are sorry but we are unable to open for selection from customer. Please let us arrange for the selection. If you happen to order more than 1000g, some of the tea trees might be repeated. If you are interested, please send us an e-mail or Facebook message. 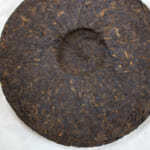 For raw pu-erh tea, we have both loose tea and cake. We kept more than ten types of tea in loose form and pressed two types into a cake. The tea gives extraordinarily long-lasting aftertaste, with a clear drinking note and soft mouth-feel. 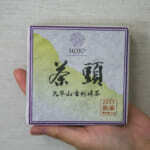 Because of outstandingly soft and long-lasting taste, you will enjoy it even it is new tea. We also like to enjoy the tea after aging it for more than a few years. Tea will then develop sweet dried fruity note. Last year, while I was seeing a big tea tree in high mountain, all of the sudden the idea of making single tree white tea leaped into my mind. I was so eager to taste the white tea made from the single tea tree. 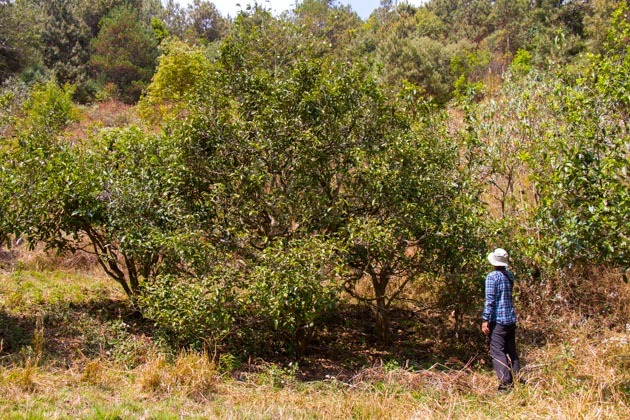 However, in Yunnan, it is extremely rare that single tea tree is processed into any tea besides raw pu-erh tea. Because in Yunnan, pu-erh tea is so famous and popular. 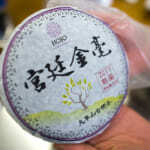 Obviously, it is easier for the manufacturer to produce and sell pu-erh tea than white tea. So, I needed to convince manufacturer to produce single tree white tea, and I had to teach the manufacturer the traditional way of making white tea and optimized the process in order to produce the white tea that can meet our requirements. 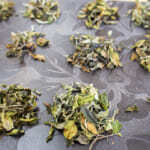 At first, we picked the fresh tealeaf collected from one old tree and processed it into white tea. When I tasted the tea, I was so impressed. I couldn’t resist producing more. So, eventually we have carefully selected more than ten old tea trees and processed them into different single tree white tea. Tea has no bitterness or astringency. It is extremely smooth and the after taste lasts for long time. It is suitable for children too. Besides, this tea taste is fabulous with cold water brewing. If you want to enjoy the refreshing floral notes, please drink it now. And, we also suggest aging it for a few years or more. It develops very unique fruity taste just like grapes or wild honeys. 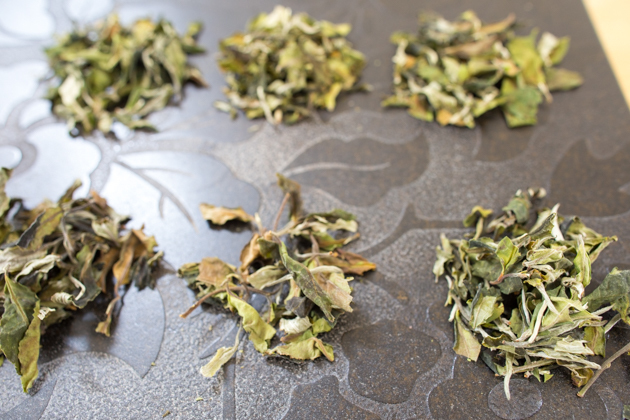 The single tree white tea is made with traditional white tea processing method of natural withering style. Based on the characteristic of each single tree, the extent of withering process is adjusted. So, some are more greenish and some are slightly more colourful. I felt it was very unique and fascinating experience to taste tea processed from different trees. Some teas give floral flavour, some of them give fruity flavour, with a hint of muscatel or raw honey flavour, and some remind me of spring forest. Each tea gives a different extent of aftertaste and body. 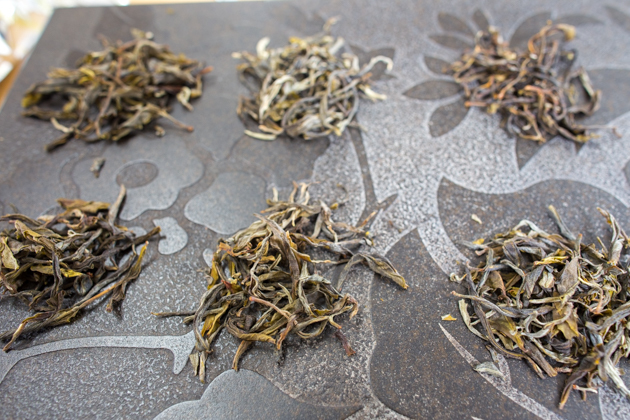 When single tree tea is processed into white tea, each single tree tea show very distinctive chracteristics. I think it is because of the semi-fermentation process. 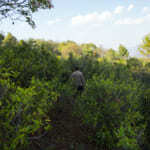 The semi-fermented tea seems amplifying the characterirstics of each tree in terms of the flavor. 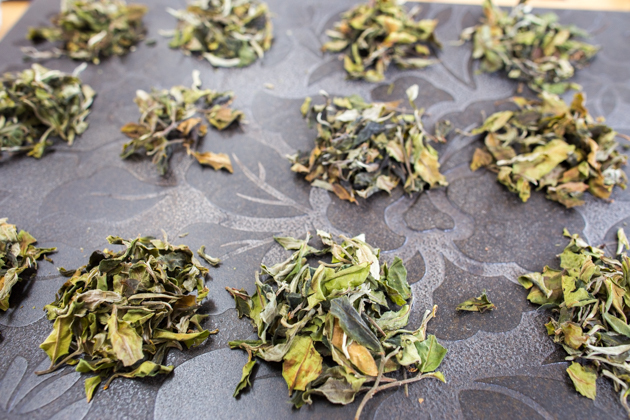 The varioety of the flavor of the single tree white tea is as as unique as drining Phoenix Dan Cong oolong produced from the different tree. For developing the flavor of white tea, the poly phenol plays an important role. So we used one bud and three leaves. It contains more poly phenol than younger plucked leaf. 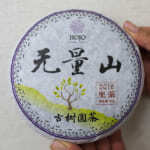 We also selected several kinds of single tree white tea and compressed into cake. 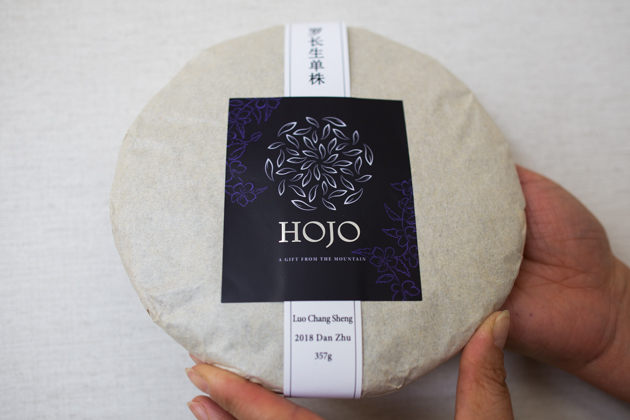 We only have very limited number of cakes as each tree only produced a few kilograms of tea and the tea cakes were shared for Malaysia and Japan. In Japan, we have only about 1kg for each tree. If you are interested in cake, please contact us as soon as possible. We made black tea from the single tea tree. As far as I know, we are the first one who introduces single tree black tea in China. Usually, to produce black tea in small batch there are a lot of obstacles in process Most of tea manufacturers who specialized in making black tea are equipped with facilities in big scale (for making a few hundred kilograms of black tea) and it is not suitable for processing small batch of black tea (a few kilograms in each batch). However, as I was so eager to produce single tree black tea, we worked together with the tea manufacturer to run many trials. Although it took us a few weeks to optimize the process, at last we managed to produce the black tea in small lot that quality is up to our requirements. My will to make single tree black tea was fulfilled at last. Usually, we associate black tea to gorgeous flavour. But the characteristic of single tree black tea is different since the material quality is far greater beyond the ordinary tea. Firstly, the intensity of the aftertaste is unusually strong. I feel the tea is penetrating into our body. 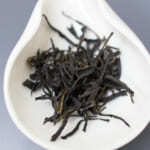 The tea liquor of single tree black tea showed a high mineral effect. The tea taste is intense, yet it flows so softly and smoothly, with very clear note and long-lasting aftertaste. After drinking, my body is warmed and relaxed, a good sign of improved blood circulation. This tea is also suitable to age for a few years or even longer. With further aging, the flavour would be intensified. Usually, only a few kilograms of tea are available from each single tea tree. When you order more than 100g, you will get teas from different tea trees. We plan to ship the variety of tea for the customer who ordered more than 100g. Therefore, we need some time to study the combination. We plan to start shipping around 10 days after we receive the order. 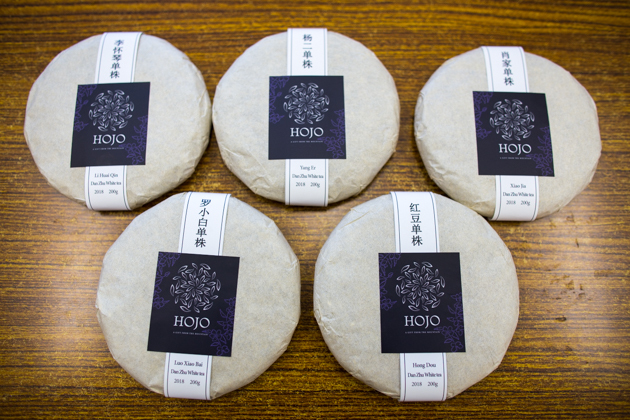 Please send us an e-mail at info2@hojotea.com or send us a FB message if you are interested to purchase. How to get the latest update on HOJO? 1. Follow Twitter, 2. Click "Like" on Facebook, and 3. Subscribe in newsletter. You can have the latest tea news from HOJO.